Perhaps the only school in the city to provide a Science Lab for the primary pupils, it is a place where our children gain hands on experience and a place which induces wonder and inspires curiosity in the new age learner. The lab is well-equipped and provides equipment for students of classes IV and V to 'Learn by Doing'. 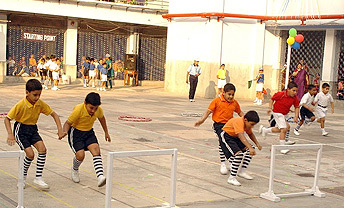 All school concerts, orientation programmes, seminars, panel discussions, investiture ceremonies are held in the in- house Vidya Mandir Auditorium. The 700 plus seater auditorium has excellent acoustics and stage lighting system. The school has a well equipped infirmary with a trained in-house nurse. Bi-annual health check-ups are done by a qualified doctor and the reports are shared with the parents. 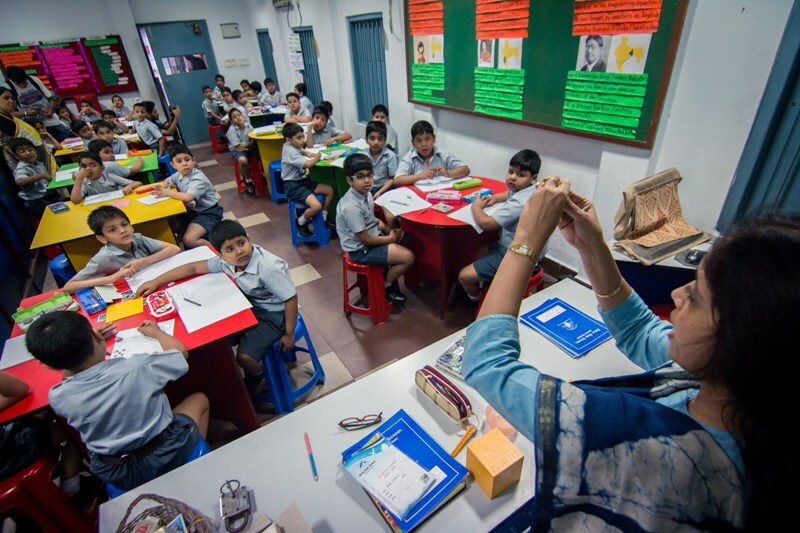 Every floor has well equipped air conditioned staffrooms with work stations which provide an atmosphere conducive for teachers to discuss, plan and collaborate. The state of the art Conference Room acts as the venue for several important meetings like the Governing Body Meeting , Ex - Committee Meetings and several others. 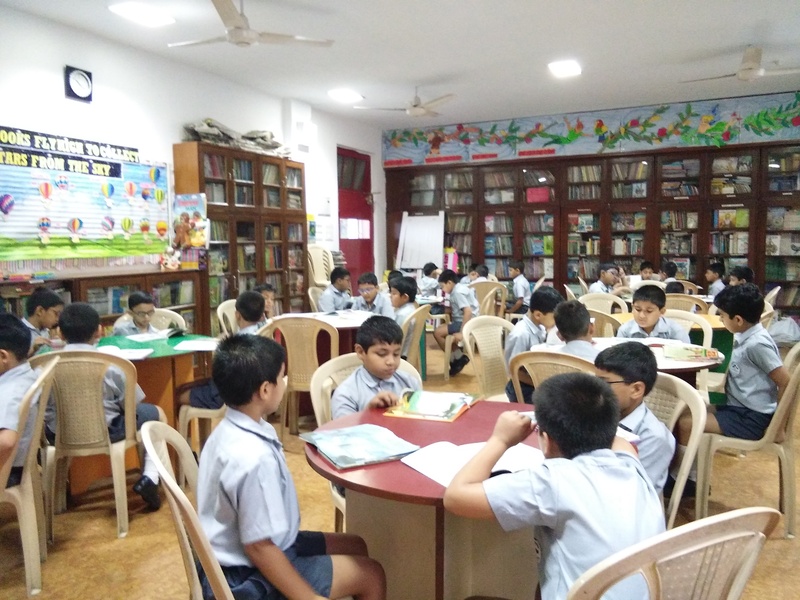 Our air-conditioned library offers over 10,000 books along with journals, magazines and periodicals providing an ambience that instils love for reading in children. The school provides the services of Counsellor and Special Educators to aid and assist pupils with learning challenges and special needs.